Grab your Gucci and get ready for a Hollywood-style ride in something that makes the Cadillac Escalade seem way too bland. Move over Range Rover, because there’s a big, bad old-school boomer roaming the streets, and it’s destined to make those “pimpmobiles” as passé as bellbottoms. We’re time traveling back to late the 80s and early 90s for a street-legal Tiger tank that carries the decadence of the former with the grunge attitude of the latter known to man. 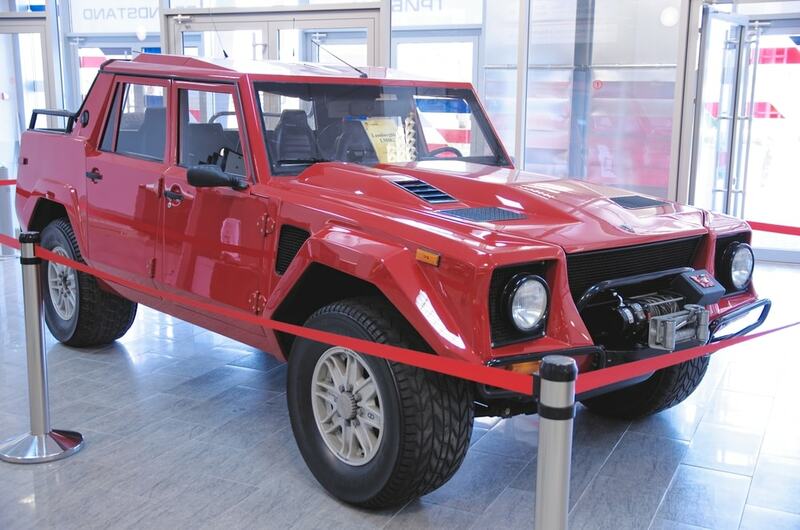 Meet the Lamborghini LM002. AKA: the Rambo Lambo. 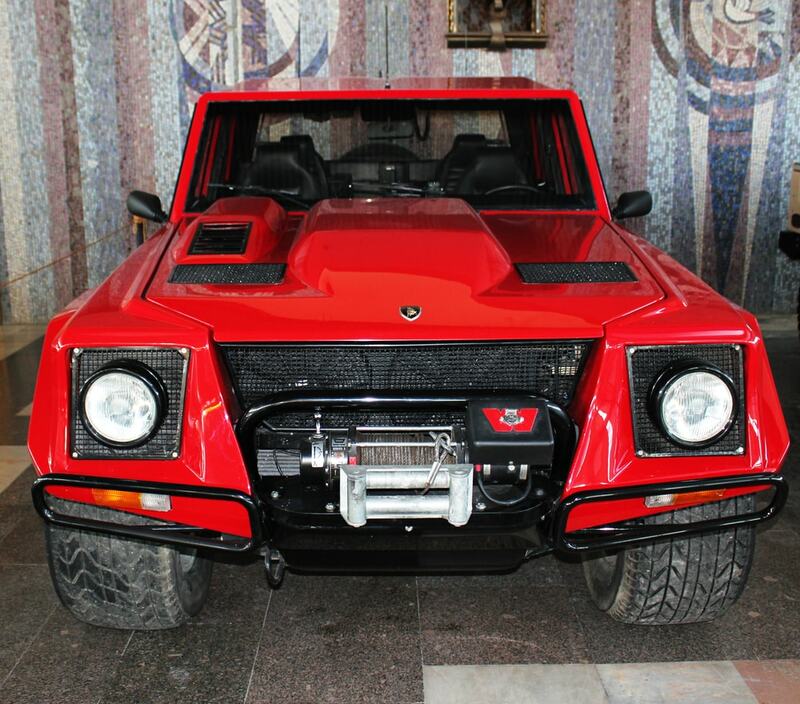 That’s right, back in the day the infamous supercar manufacturer Lamborghini made an SUV that looks like it belongs in a Mad Max movie and was said to drive with as much power you’d expect from the brand. If it sounds like I’m lapsing into hyperbole, it’s because this is a fun little relic that endears such remarks. However, think about the facts: this beast of a machine weighs 6,780 pounds, which means it’s over 2,000 pounds heavier than your typical Range Rover, which SUV fans consider one of the ultimate names of its vehicle class. Peep this though: the Lambo carries a 5.2-liter V-12 that produces 444 horsepower, giving it almost 300 hp more than the 3.5-liter V-8 Range Rover. The LM002 can accelerate from 0 to 60 mph in 7.7 seconds with a top speed is 118 mph which is way above normal for such a heavy vehicle. When this car could be spotted, heads were turned, minds were blown and people genuinely freaked out. It still elicits cheers when talked about every time rumors float around that Lamborghini is conspiring to make a follow-up vehicle. This is one tough-looking car that has some asking, “Is that a Hummer,” when they see it. But one look at the “Lamborghini” logo on its chin-high hood, and it is nothing short of intriguing. Let’s be real, nearly every car put out by Lamborghini is worth the buzz, but their brief 80s and 90s foray into SUVs is one for the history books. 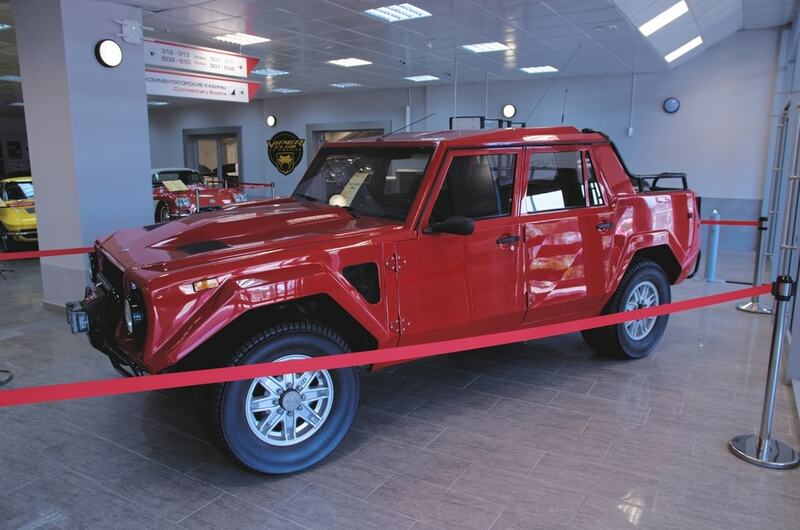 The story behind this venomous vehicle begins in 1976, when a small American defense contractor, Mobility Technology International, approached Lamborghini with a design for an all-terrain vehicle that might have military applications. The result, unveiled in 1977 at the Geneva show, was the Lamborghini Cheetah, a low-slung four-wheeler powered by a rear-mounted, 5.9-liter Chrysler V-8. There was only one small problem: the Cheetah looked amazingly like another American-designed vehicle which was a project for the Pentagon known as the FMC XR311. Due to the Cheetah being so similar to the XR311, FMC (Ford Motor Company, anyone?) threatened legal action and the Cheetah was quickly dropped. 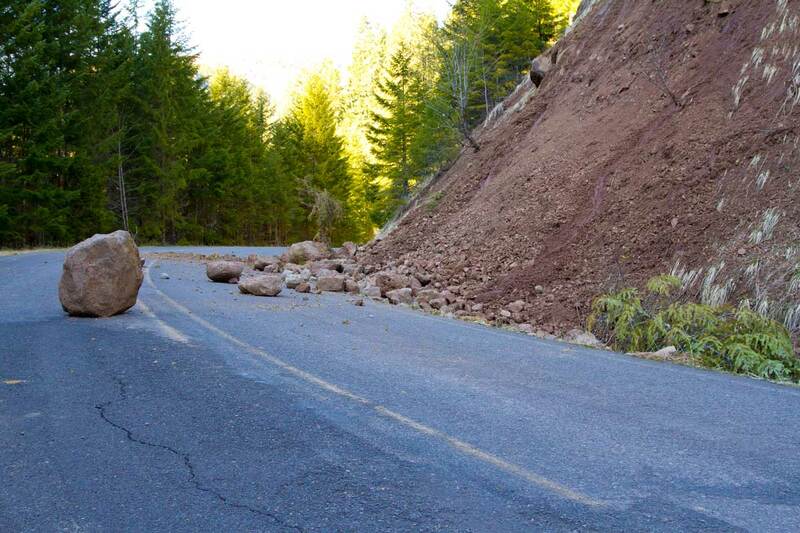 However, Lamborghini’s interest in that type of vehicle lived on. 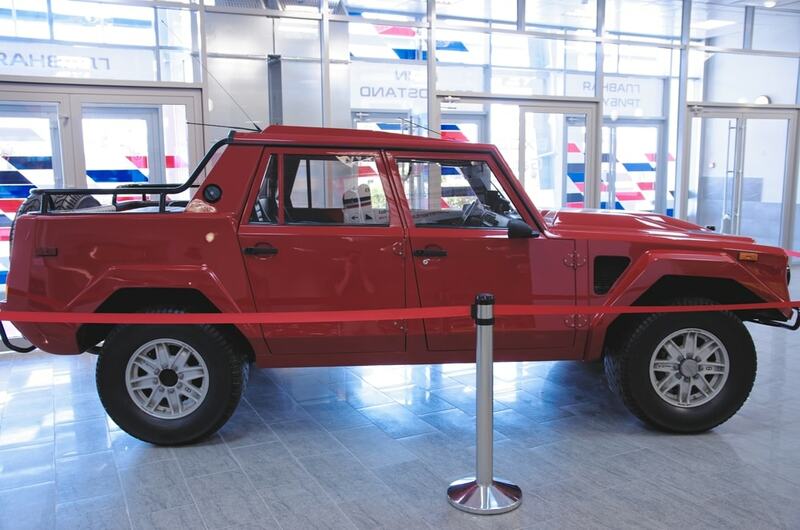 The LM001 debuted in 1980 and by 1982 the first LM002 had been constructed. The engine, a home-grown V-12, had been relocated to the front for better traction and weight distribution than the 001 had offered. The new chassis was fabricated from large steel tubes welded into a stiff space frame and was covered with a light, slab-sided, fiberglass-and-aluminum body. The suspension was fully independent, with unequal-length control arms and coil springs fore and aft. The four-wheel-drive system worked through a center-mounted two-speed transfer case, which permitted 4wd operation in low and high ranges, plus conventional rear-wheel drive. The transmission was a heavy-duty ZF S5-24/3 five-speed manual, mounted behind the engine. Inside the cabin was room for four passengers, and two to four more could ride shotgun (literally) in an open-air observation deck out back. The entire setup was mounted on large tires that would look at home on a giant construction tractor. This was one complicated machine. After all, it was originally planned to be a tool for the military. It was basically a space shuttle compared to the light armored vehicles of the armed forces at the time. Thus, it was decided that the LM002 would make an ideal scout car for Middle Eastern sheiks and aspiring private-militia commanders. In order to appeal to this as of yet untapped upscale market, Lamborghini outfitted its monster with luxurious leather seats, power windows, air conditioning, a stereo system, and other amenities necessary to make dune hopping off road seem like an elegant endeavor of the upper-class. Of course, Lamborghini also installed jump seats in the open rear deck for armed bodyguards or perhaps the driver’s entourage (or harem). So this machine was primarily spotted touring the first Iran-Iraq War and scouting prospective oil fields. There just was not a market for it anywhere else. However, automotive culture changes with the times. 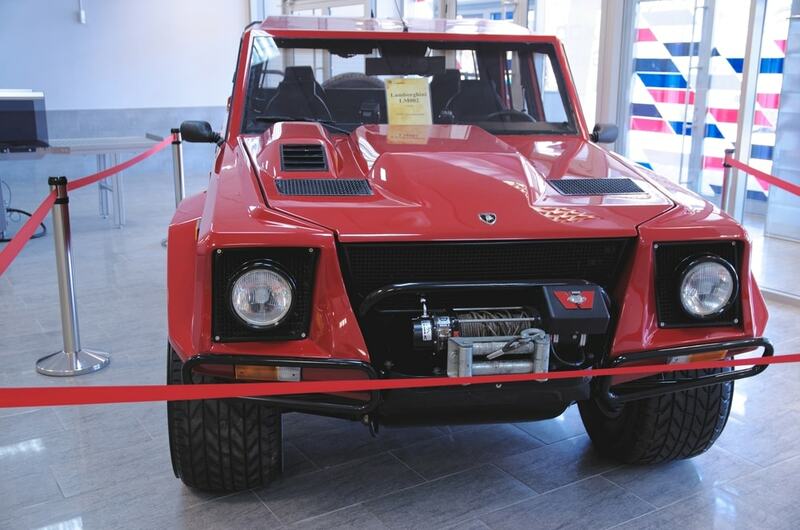 As automobile design came to acknowledge the laws of aerodynamics and the quest for individuality among auto enthusiasts has taken hold, the Lamborghini (whose name suggests nothing if not exclusivity and shock-value styling) and its public debut of the LM002 would come to find its way. Only about 300 unites of this were manufactured in history, but it’s to be expected. In the late 80s and early 90s, just how could anyone take a $120,000, 444-hp, 6780-pound off-road monster seriously?”Pimp My Ride” wasn’t a think yet, this was an era way before people put spinning rims and diamonds on their cars. This was ahead of its time in every way. The engine is known for emitting the wonderfully ominous roar that distinguishes big twelve engines even today. It takes a while for a car that big and heavy to build up to speed but when it does it is said to ride the way a Lamborghini should: it sweeps way past 5000rpm with its big engine screaming unearthly tones through its dual exhausts and it becomes capable of outracing 3-series BMWs, 300E Mercedes, and even supercharged Camaros. This was a leviathan that rivaled most sleek sports cars of its day and even now. As I said, this thing was a tank, meaning it was safe and strong, but it was also surprisingly agile. It has giant, ventilated, twin-caliper front disc brakes twelve-by-three-inch rear drums give that I can only assume give the Lambo an extraordinary ability to maneuver its bulk. Looking at the breakdown of the vehicle, you will notice the extra care given to the suspension, no doubt designed to soak in impacts. This car is pretty rare, but there are many auctions where this has been listed. If given the opportunity to test drive it, you should leap at the opportunity. It’s no Diablo or Murcielago but it’s in a class all on its own. It’s true that Lamborghini is working towards rolling out its successor sometime in 2018 but the original “Rambo Lambo” will always be a benchmark among the “status symbol” cars. The combination of militaristic aggression and high-class elegance make this a coveted treasure for collectors. And might I suggest any owner or future owner to really show this mean machine off if given the chance. This is the kind of car where you won’t be mocked at for having ridiculously tinted windows, added lights and a full armor package. I would even argue that every crazy accessory that SUV fans love to tout were practically made for this car that would be right at home cruising through Rodeo Drive as it would taking enemy fire in downtown Beirut. This is the blockbuster action movie maniac of automobiles. Can’t get enough of this monstrous machine? Check out the photo gallery below featuring some vintage photos and even some great shots of restored versions of this awesome set of wheels. 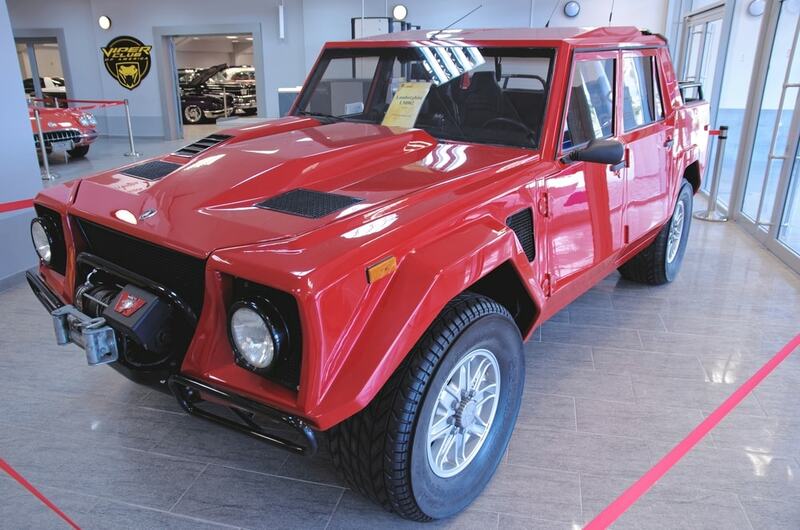 Comment below to tell us what you think of the Lamborghini LM002 and which classic car you’d like to see featured on the ShopTalk by Endurance’s Rewind series!